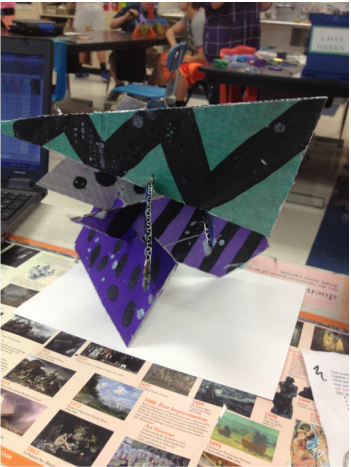 use technology to research and create, present, respond to and connect with a project implementing the elements of art and principles of design. 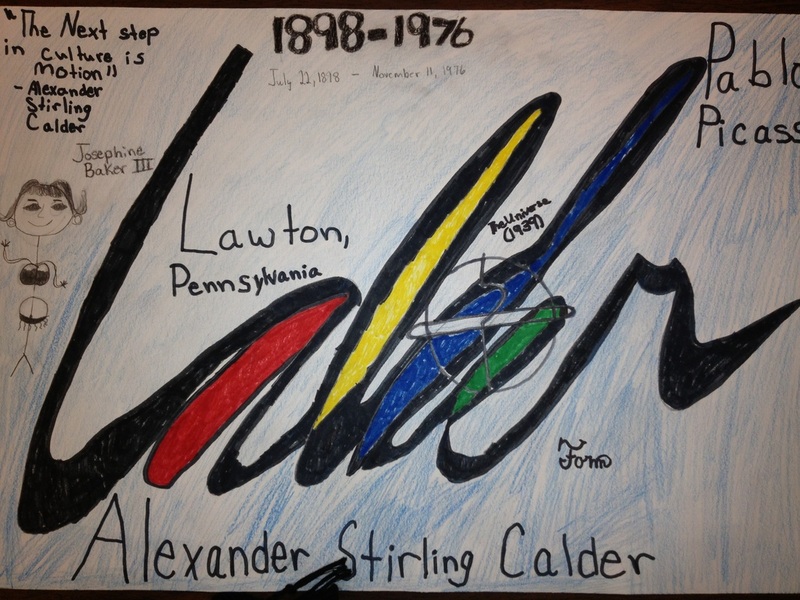 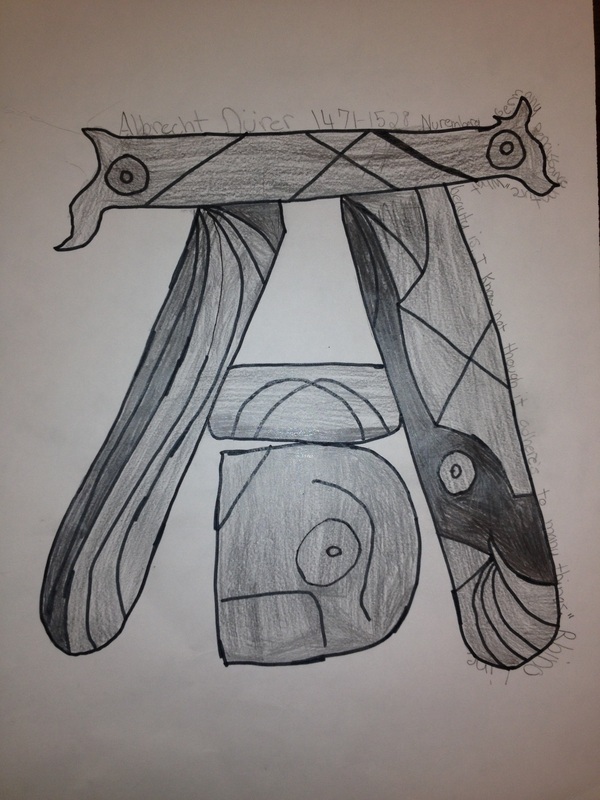 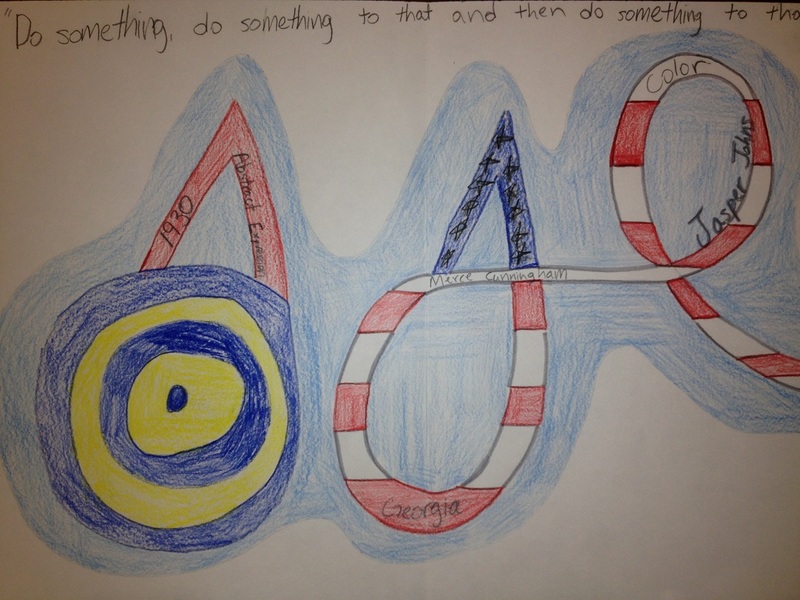 Student examples of the design challenge: illustrate nine Art Elements and Principles. 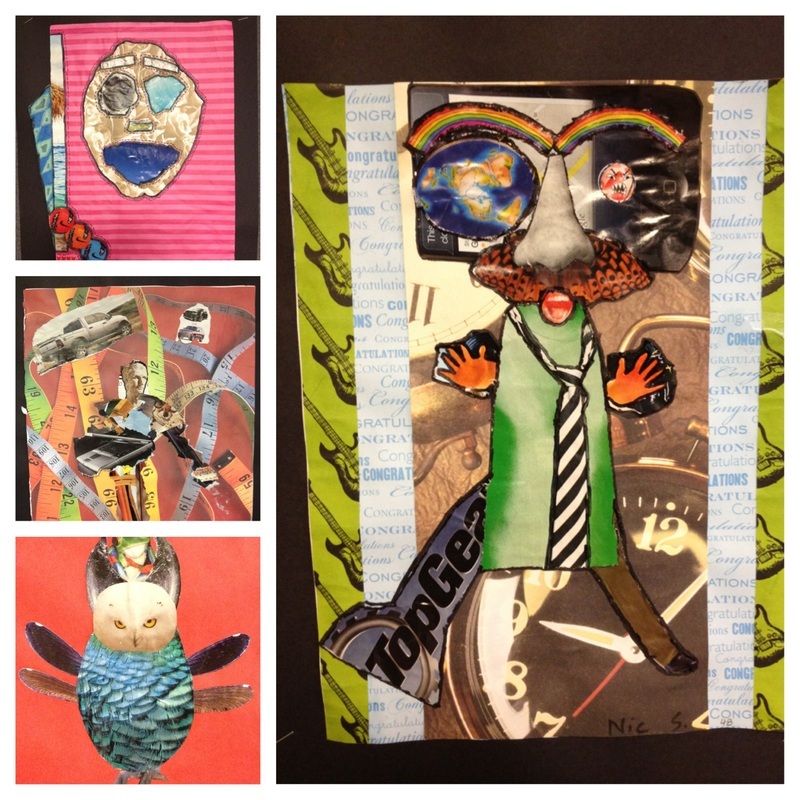 Students learn about the Art Elements by reading Scholastic Arts Magazine then created Elements Pizzas. 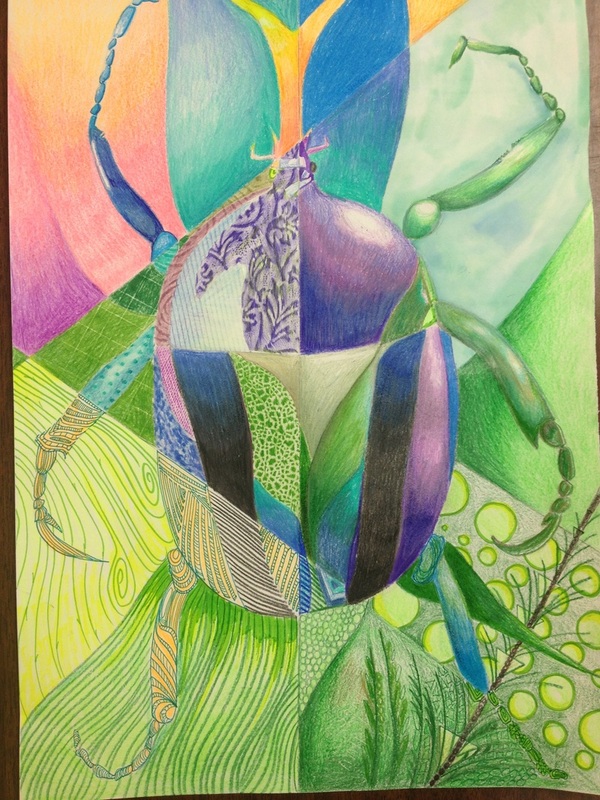 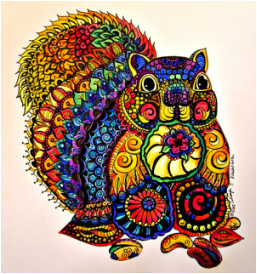 Students will research the Art Elements and Principles then apply their learning by creating a zentangle. 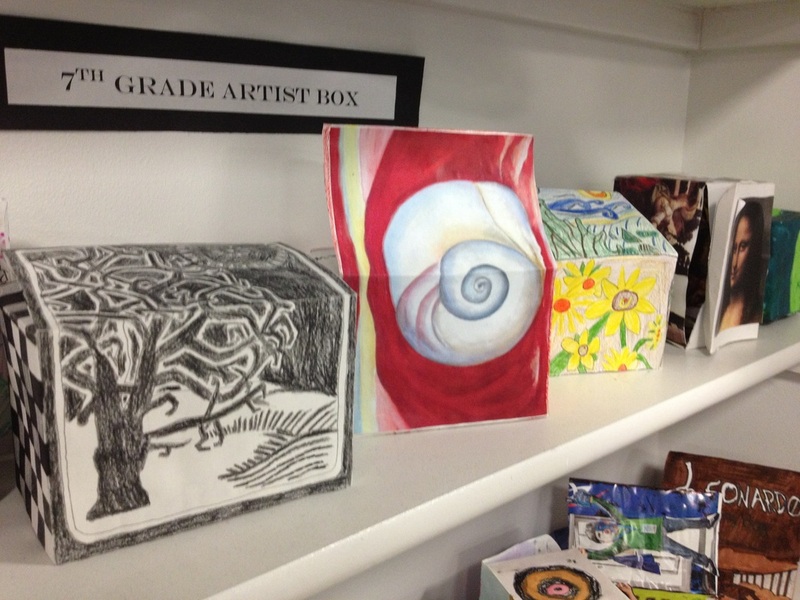 Student examples of Artist Boxes. 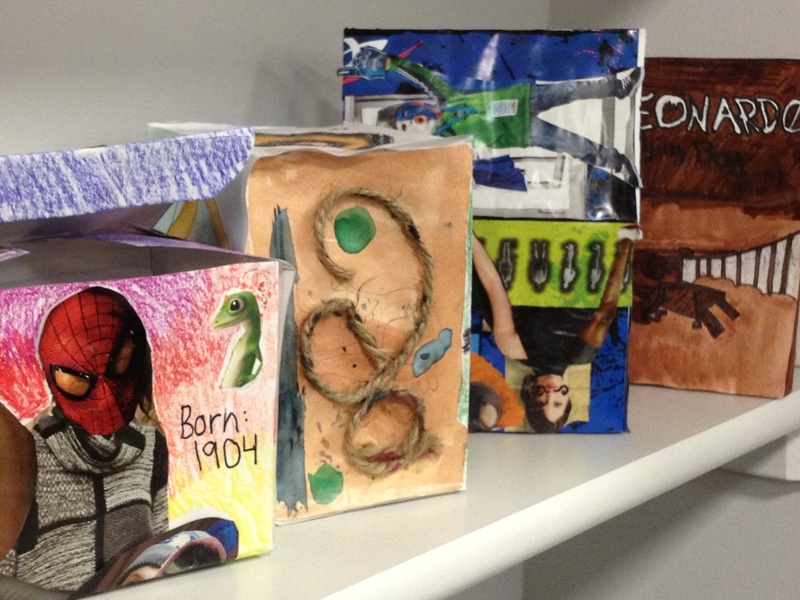 After researching an artist, students created boxes that represented the artist; objects were required inside the box. Students research about an artist and create a shoe their artist would have worn. 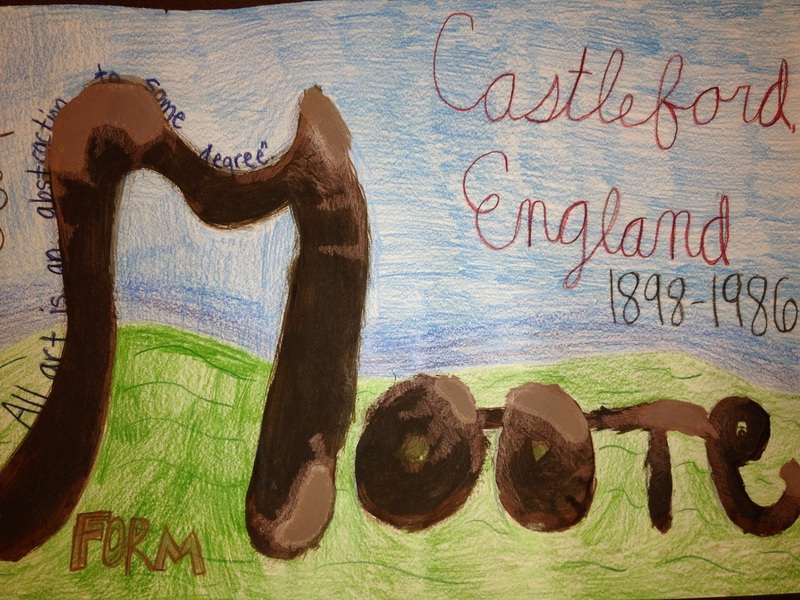 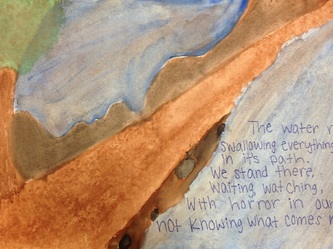 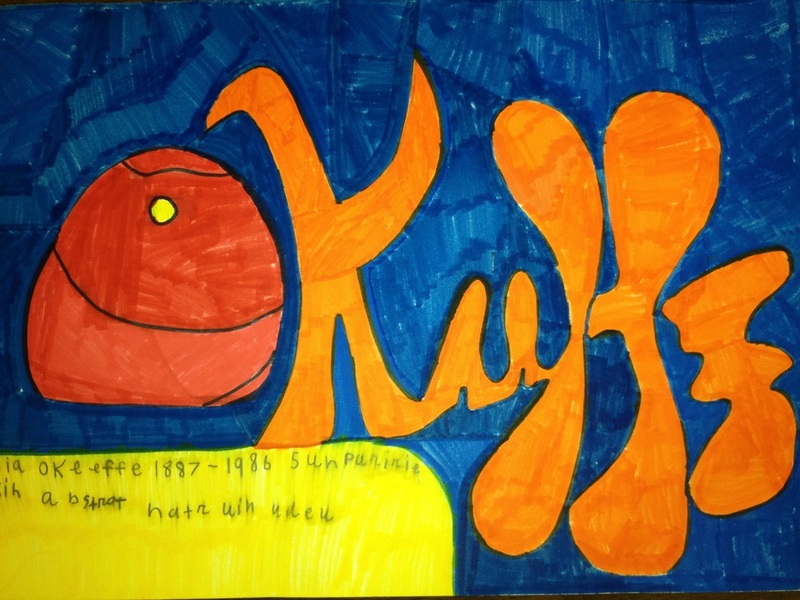 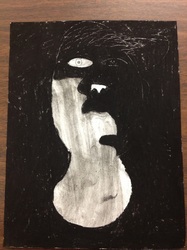 Students make connections to the artists's culture in order to best represent that artist. 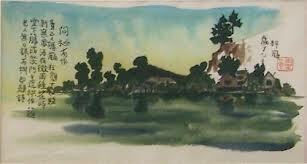 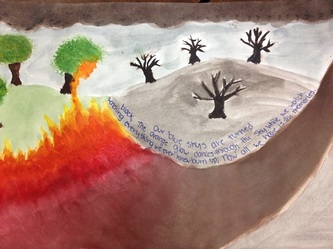 In this unit you will explore what you like and create an artwork that expresses YOU. 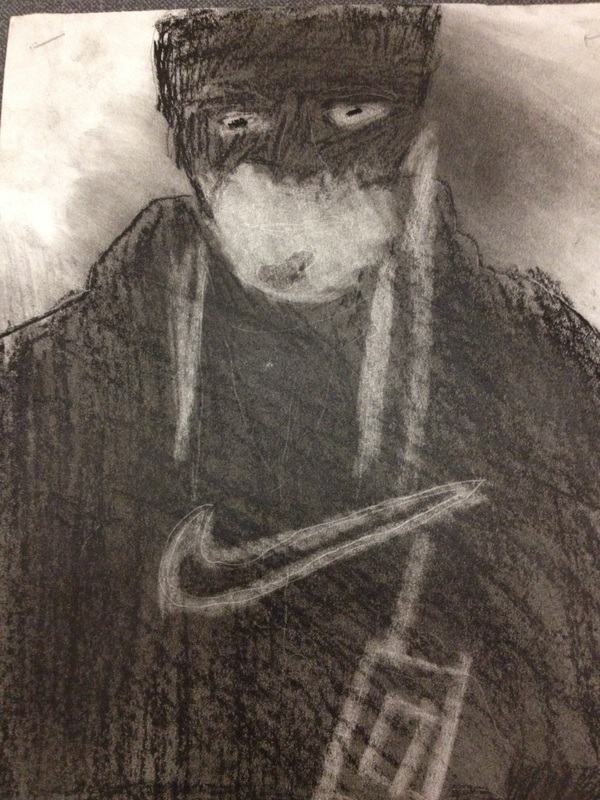 Click on the image by Archimbaldo to see more of his artwork and to learn about him. 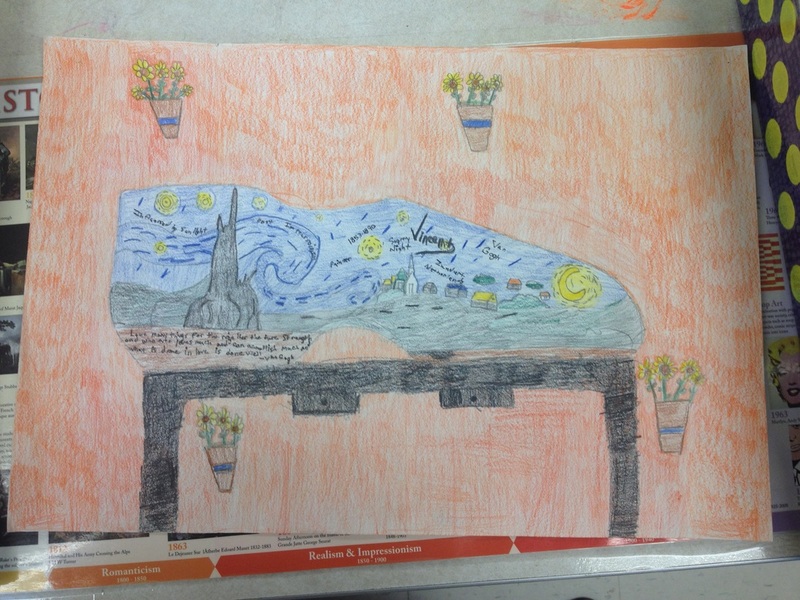 When do you think this piece of art was created? 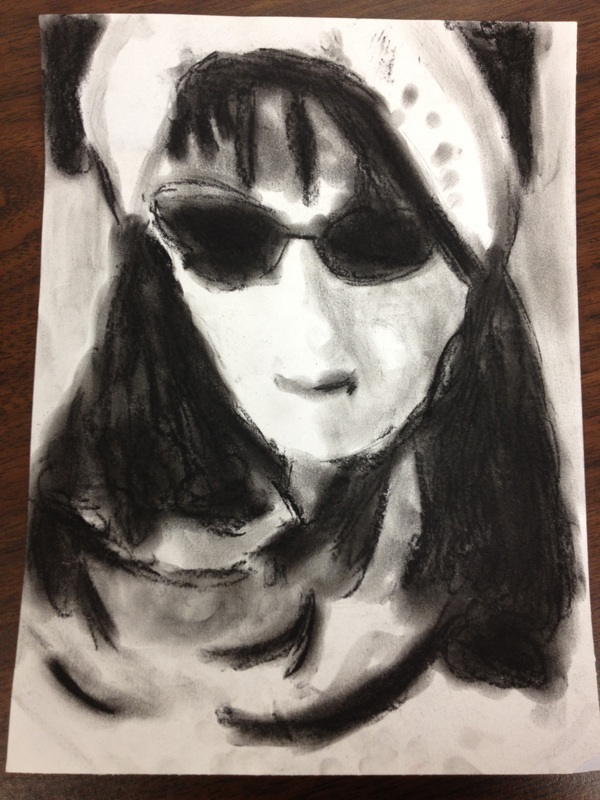 Student Choice Boards allow for a variety of choices for self portrait project creation. 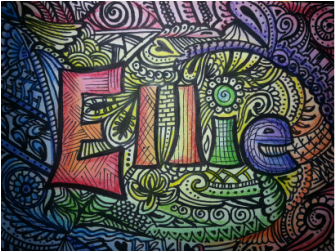 "Always be a first-rate version of yourself, instead of a second-rate version of somebody else. 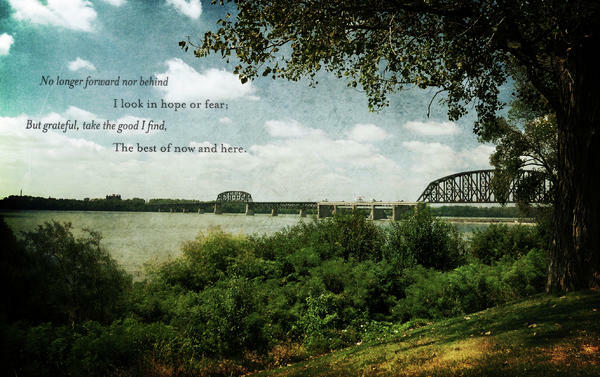 "~ Judy Garland. 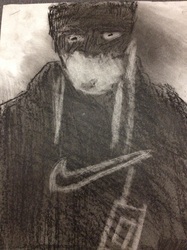 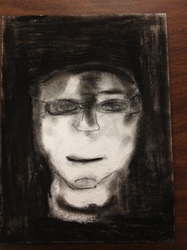 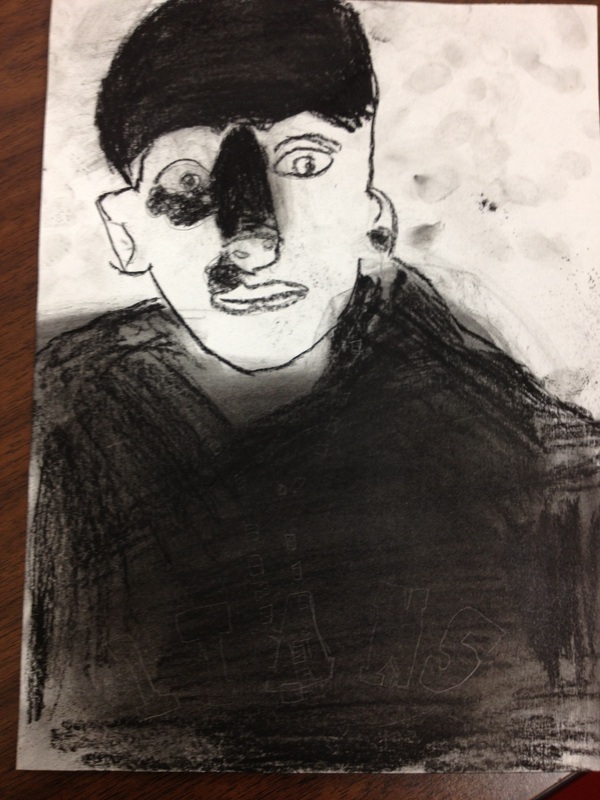 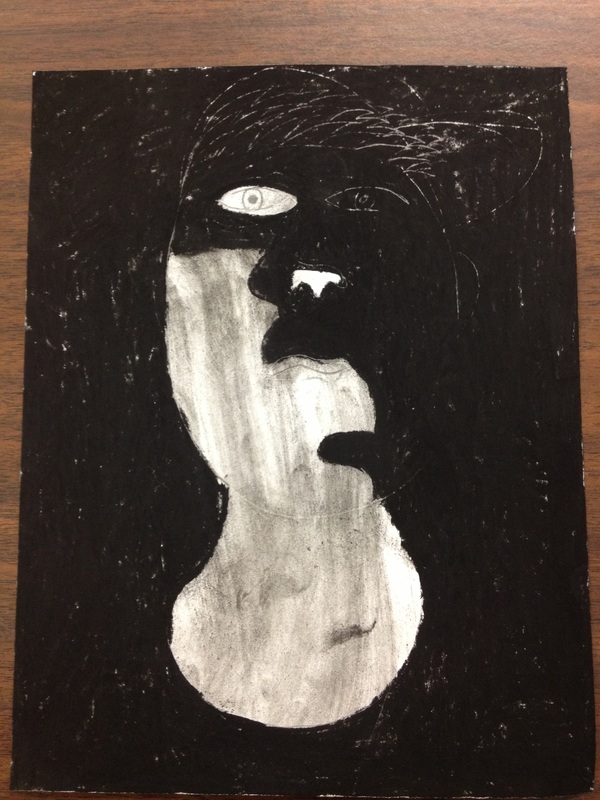 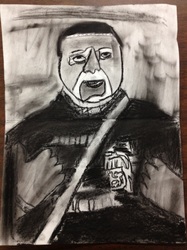 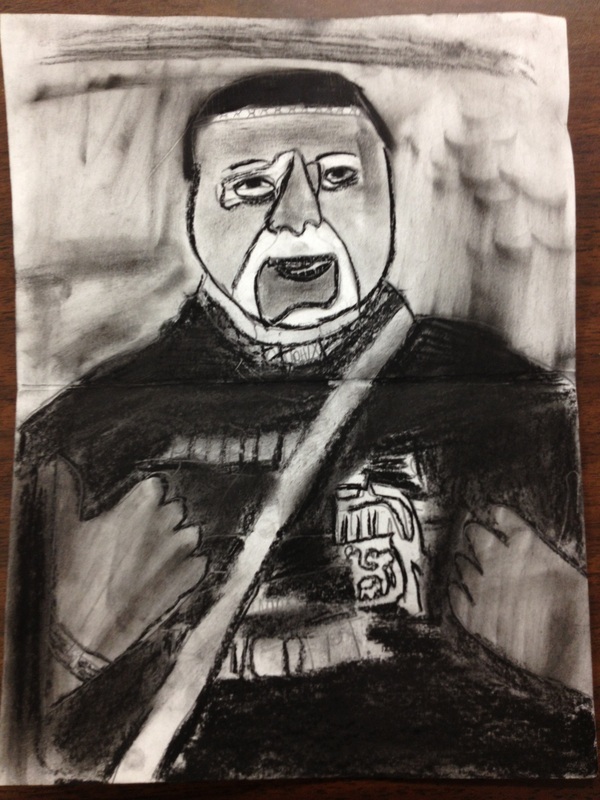 Students partner up to practice portrait drawing, then complete their own charcoal self portrait. 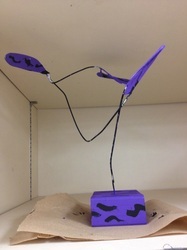 Flashlights, mirrors, and personal "bling" will be needed for this project. 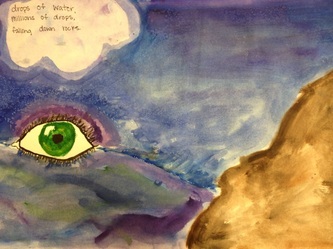 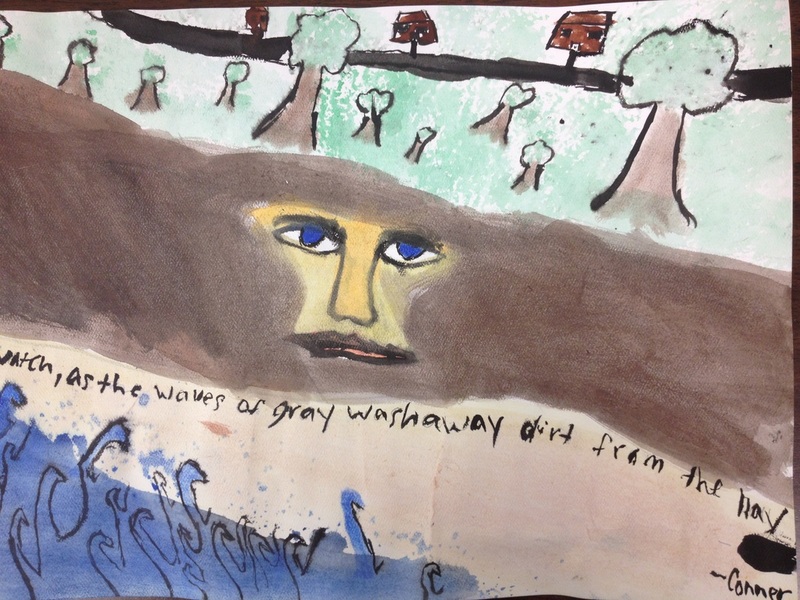 In an interdisciplinary unit, students will research storm poetry while making connections of self to text, then create a visual image of a personification storm. 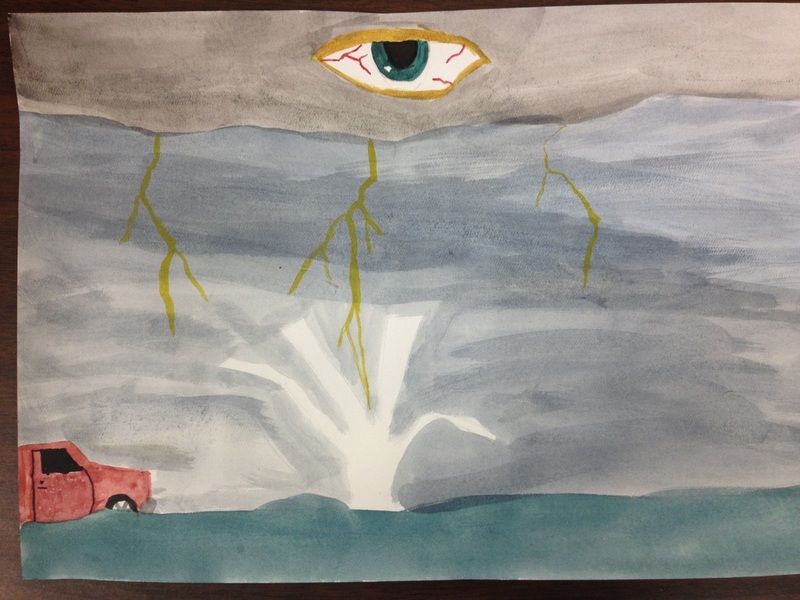 create, present, respond to and connect with a given topic, theme, or subject. 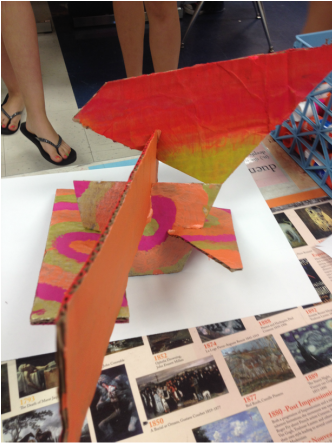 You will transform recycled bottles into a group chandelier while focusing on color groups theory. 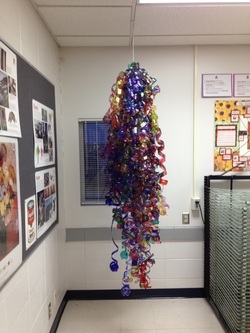 To the left is our finished chandelier hanging in our art room! Once you complete two bottle pieces for the class chandelier, you will create a Chihuly style bowl out of a coffee filter and markers and/or watercolors. 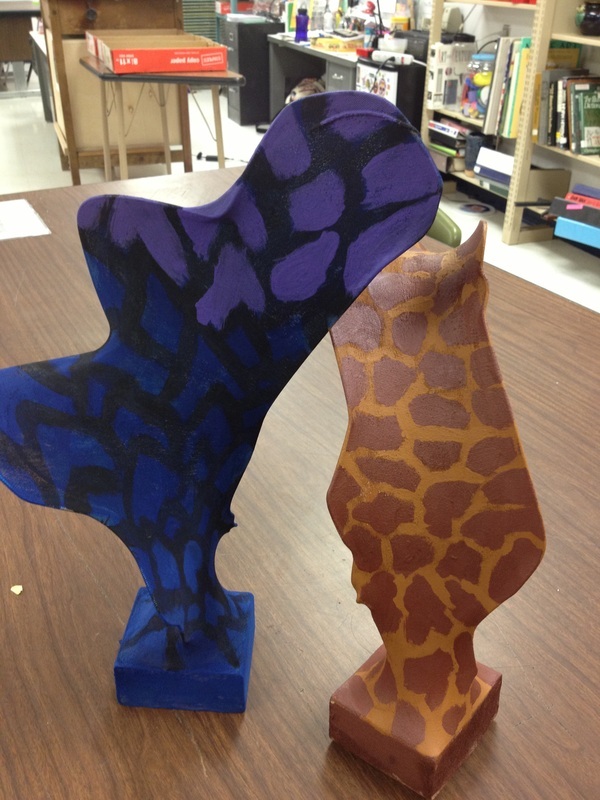 What can you do with a wood block, a wire hanger, nylon stockings and paint? 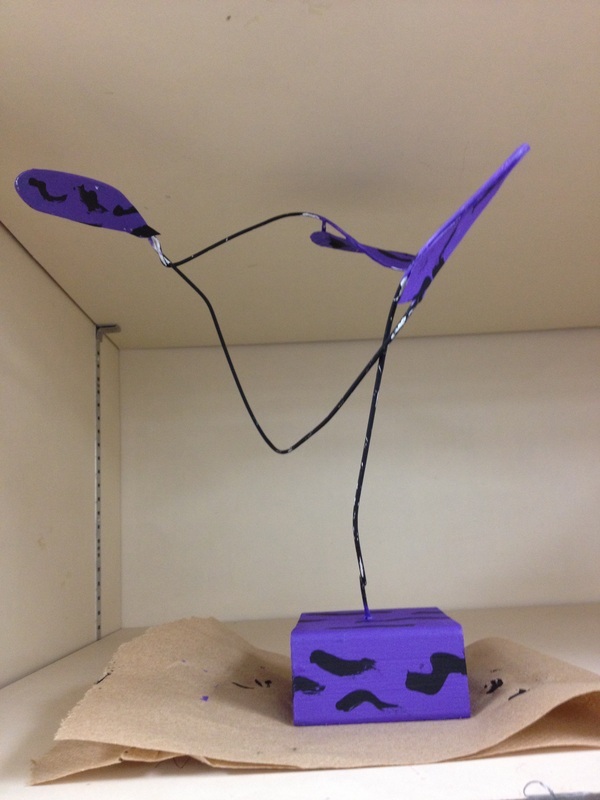 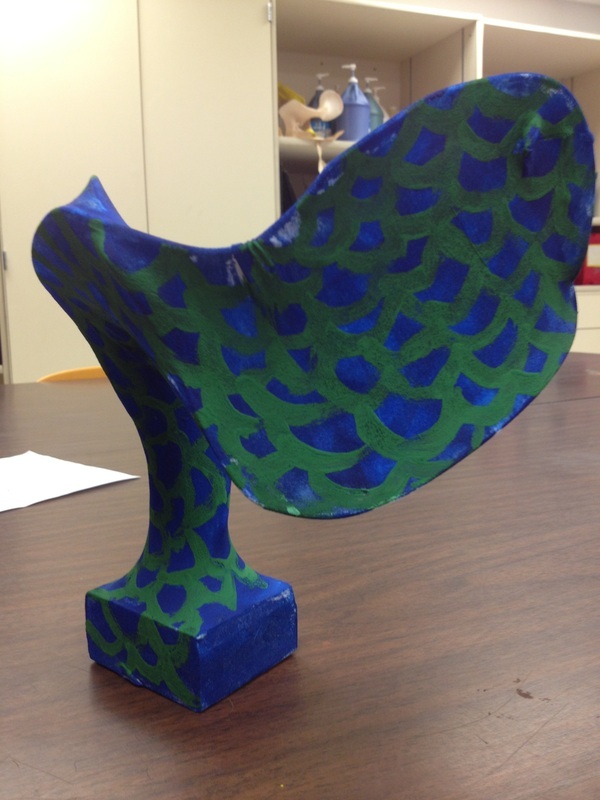 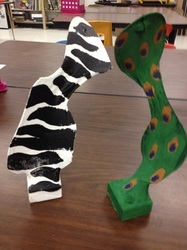 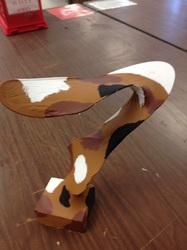 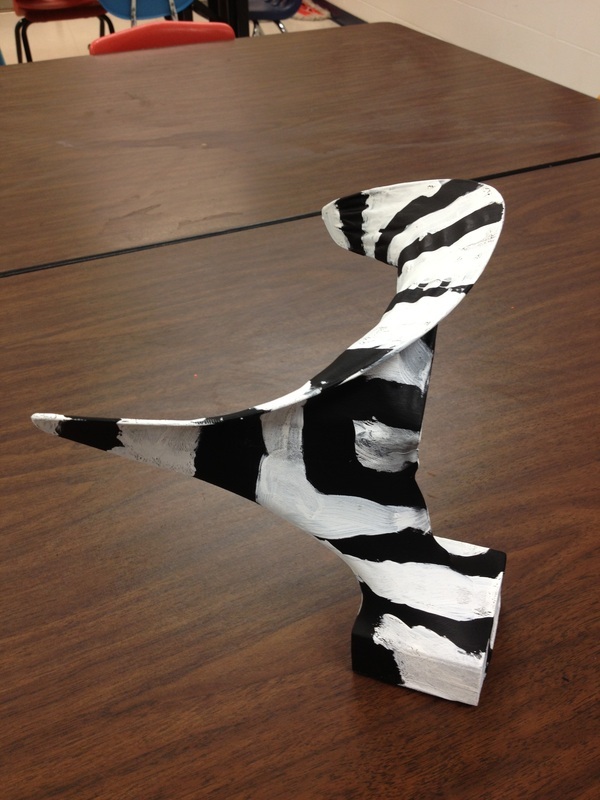 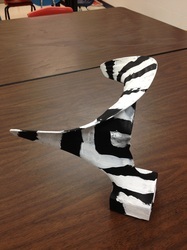 Students make connections to recycling, math, and symbolism to create a cardboard sculpture using only the slot technique, without glue or adhesives.